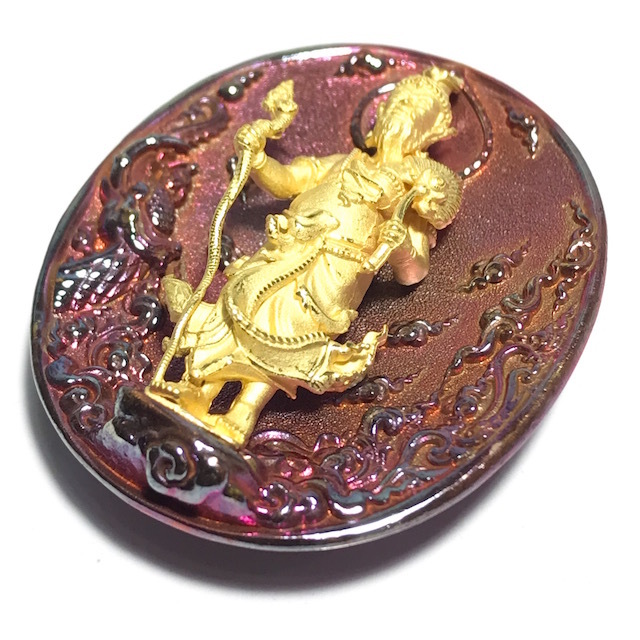 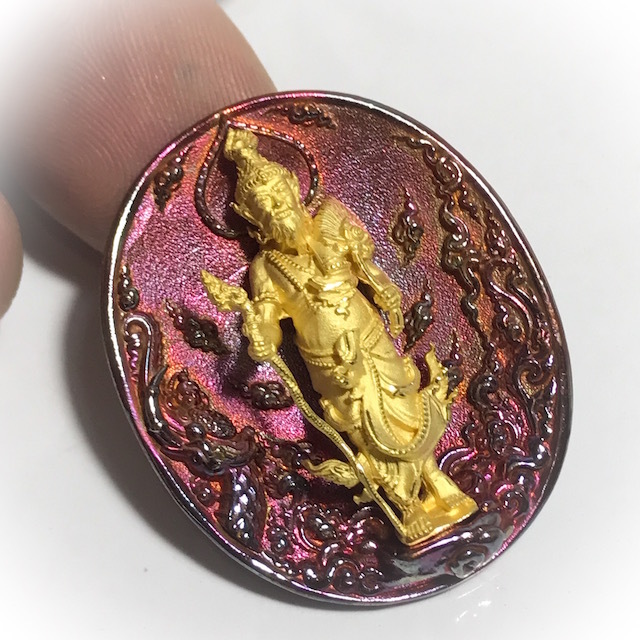 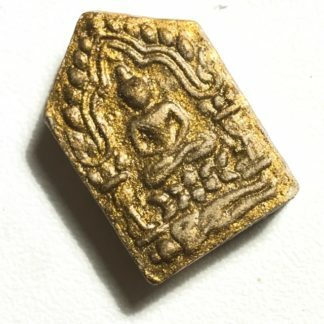 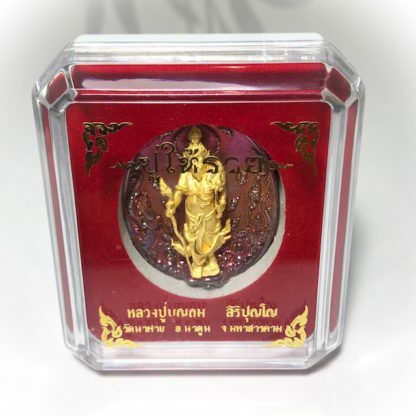 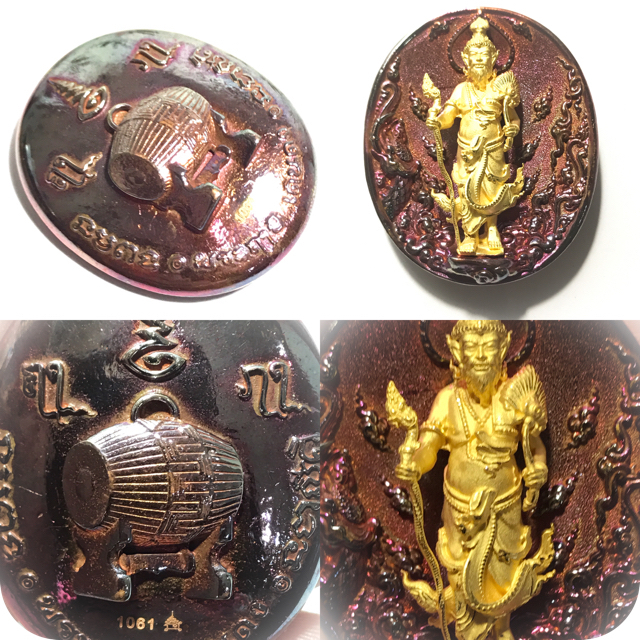 Rian Pu Lersi Dern Dong Ruesi Hermit God wandering in the Forest coin amulet in Nuea Chanuan Praw Rung Rainbow Flamed Alchemical Sacred Metallic Alloy with Gold Plated Brazen Image in 3D raised relief, from Luang Pu Bunthom Siribanyo, Blessed on the 27th of August by Luang Pu along with a number of other Great Geji Ajahn Masters. 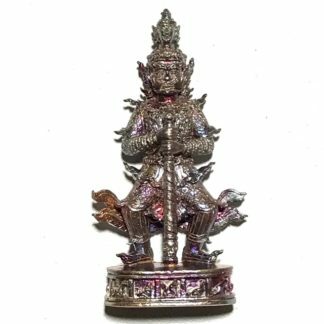 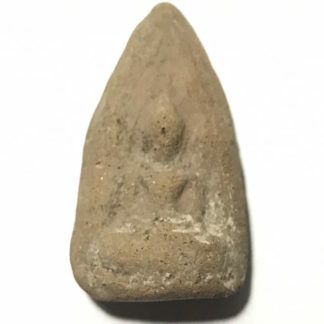 The Buddha Abhiseka Blessing Ceremony was held at the temple of Wat Na fay in Amphoe Na Doon, Maha Sarakam Province, on the 27th August 2560 BE, with various models, each in different combinations of sacred chanuan metals, in extreme limited numbers. 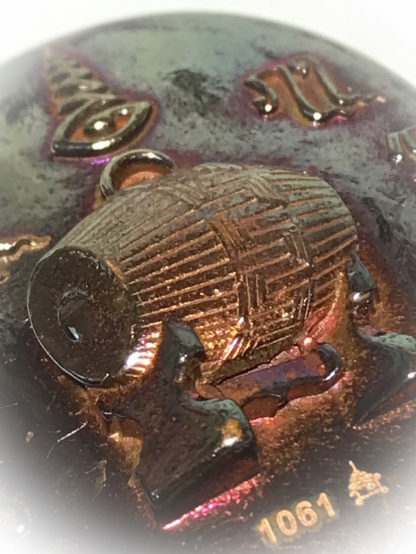 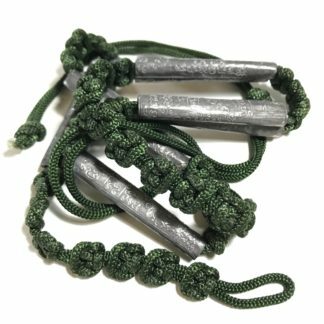 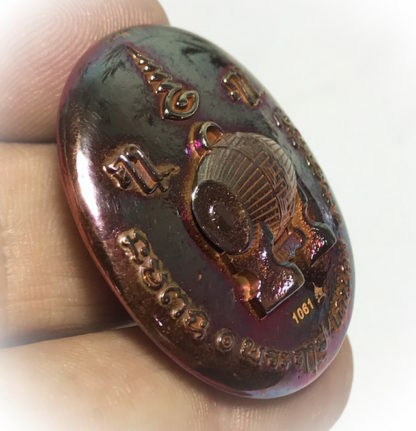 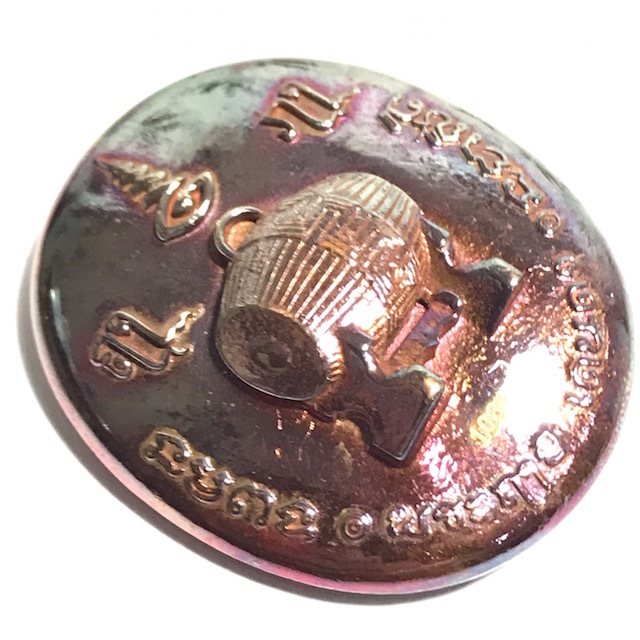 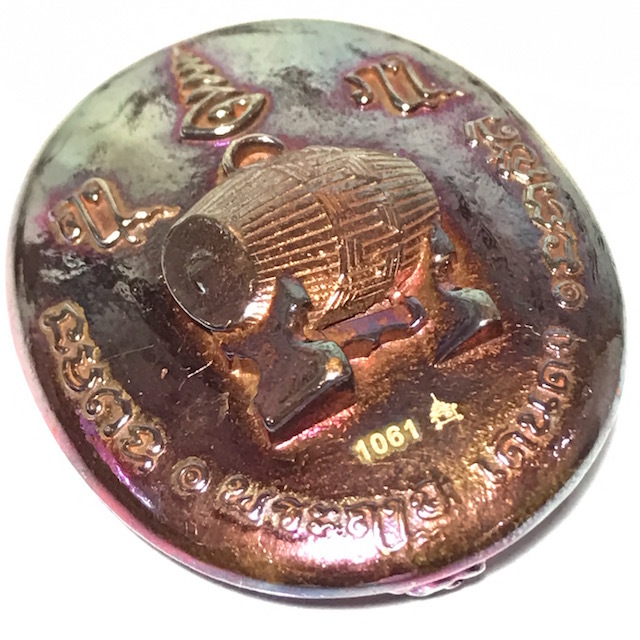 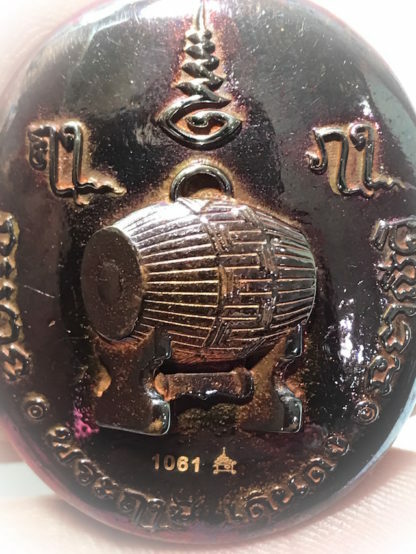 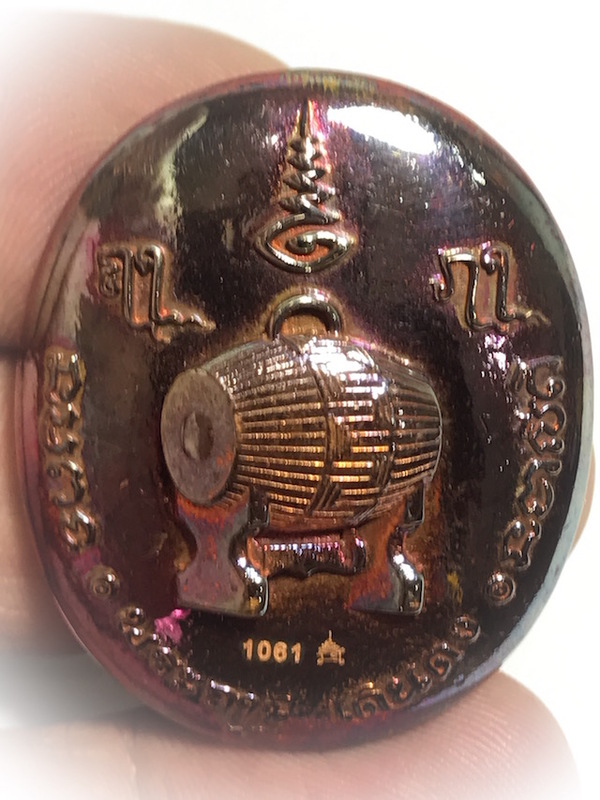 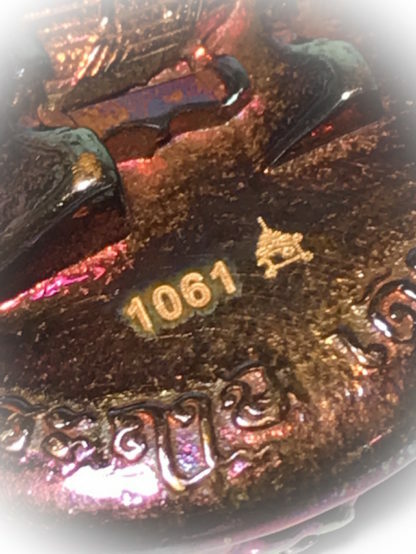 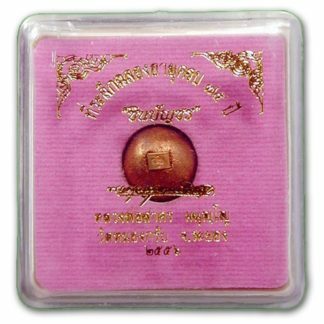 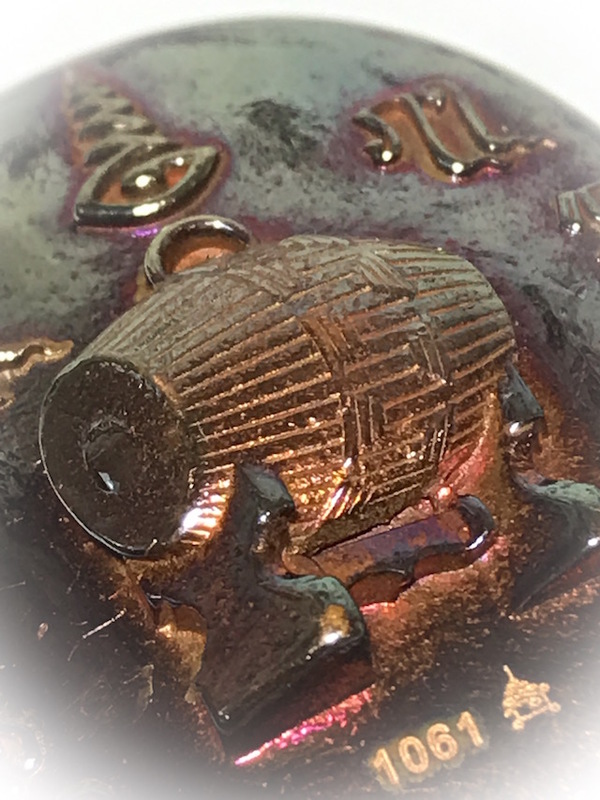 Each amulet has its own special series code and limited edition number engraved with laser (one of the modern day methods of evading cheapskate forgeries, as laser engraving of the coins makes it too complex and expensive for forgers to emulate). 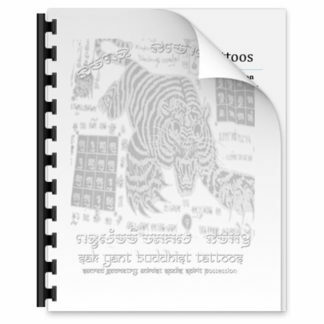 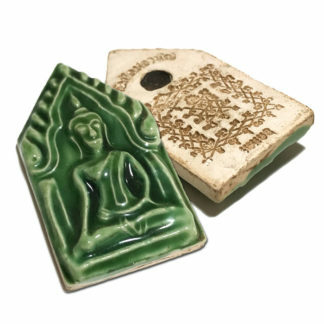 The Lersi Hermit Gods are the Patron Gods of Sak Yant Thai Temple Tattoos and the Guardians of the Devotees of Saiyasart (Occult Magick) and bestow a myriad of blessings upon all devotees who worship them. 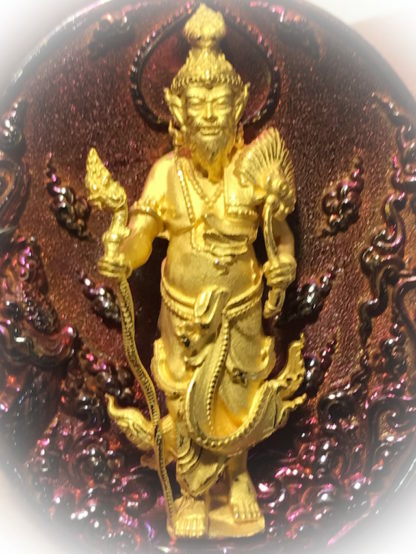 There are a vast number of Lersi who all who possess different qualities and abilities. There are different kinds of Hermit Gods in each of the various celestial realms and levels of Heaven. 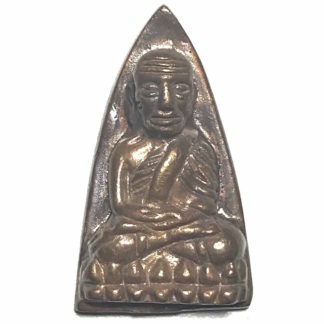 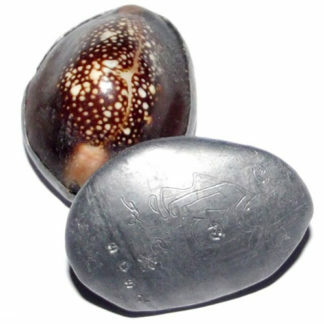 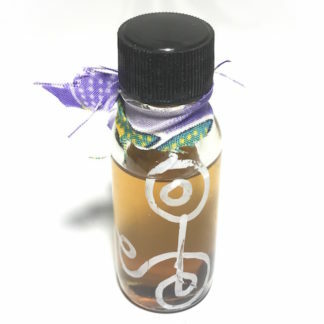 The image of the can be used to represent whichever of your chosen Lersi Hermit God you wish to worship. 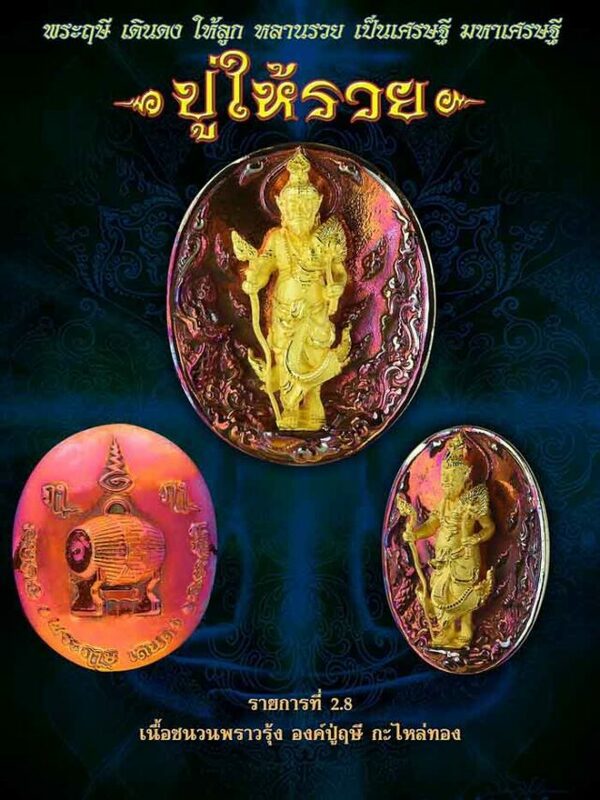 Be it the Lersi Narot (Naradha Rishi), Lersi Por Gae Ta Fai, Petchalugan, Wisawagam, etc. 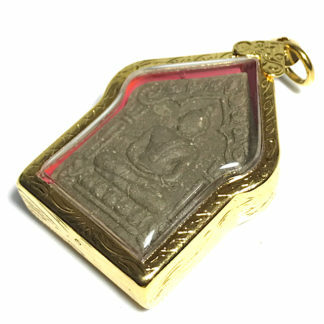 The front face of the amulet features the Lersi walking in the forest, with his walking staff, crowned with a Nāga Serpent of Bodhala. 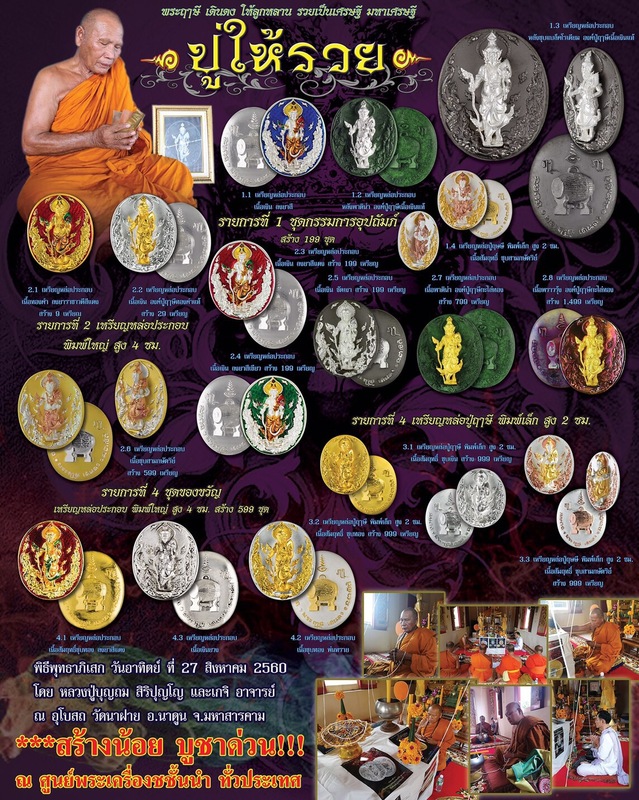 The inner borders of the coin are embellished with flamed effect decorations, known as ‘Granok’. 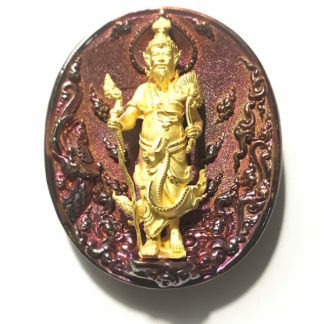 The Hermit God has an aura around his head. 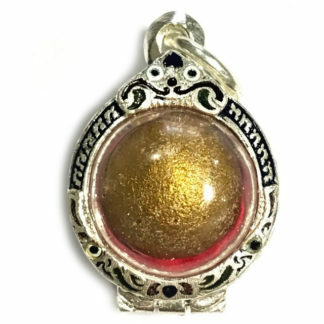 The rear face of the amulet has a ‘Taphon‘ Drum, one of the ritual items of the Lersi, and the God Shiva. 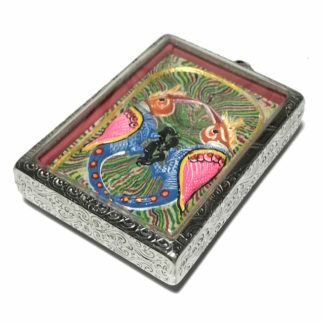 Apart from Waterproof Casing Options, we can also offer Solid Gold Customised Frame casing for this amulet. 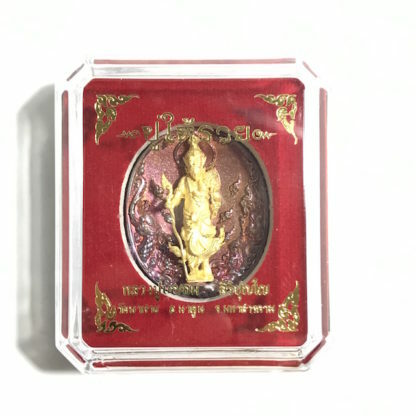 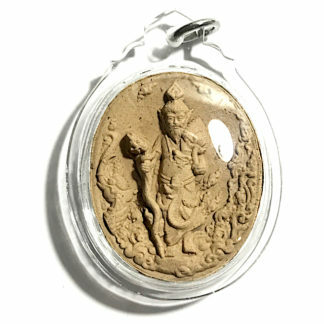 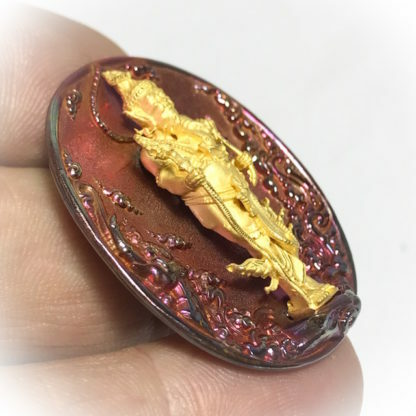 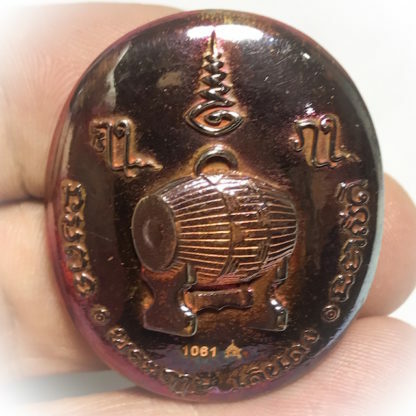 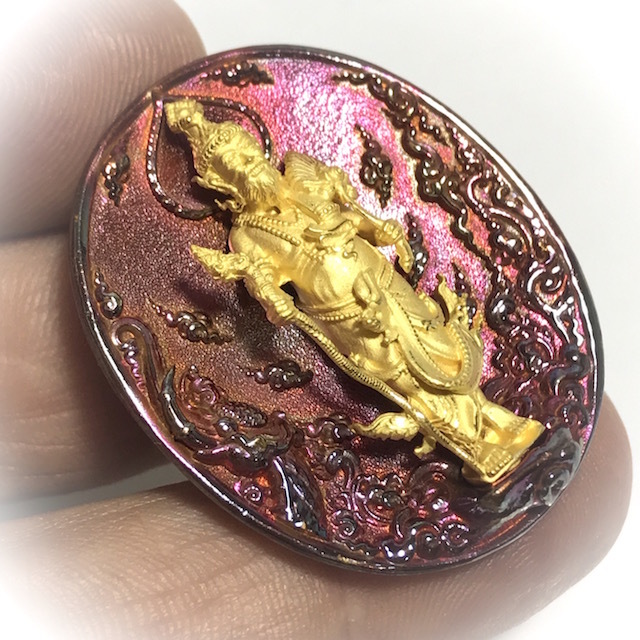 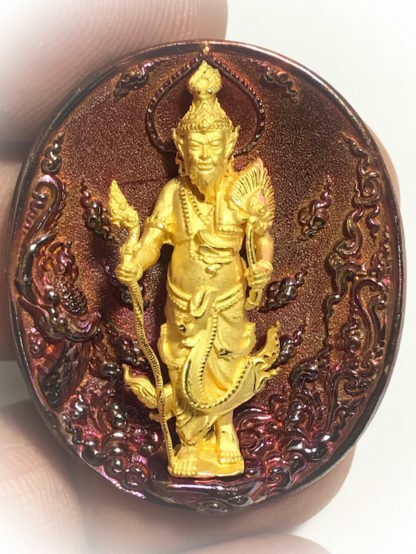 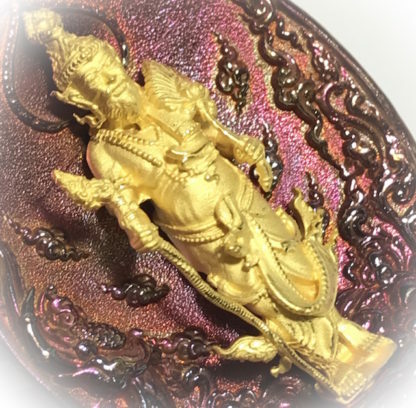 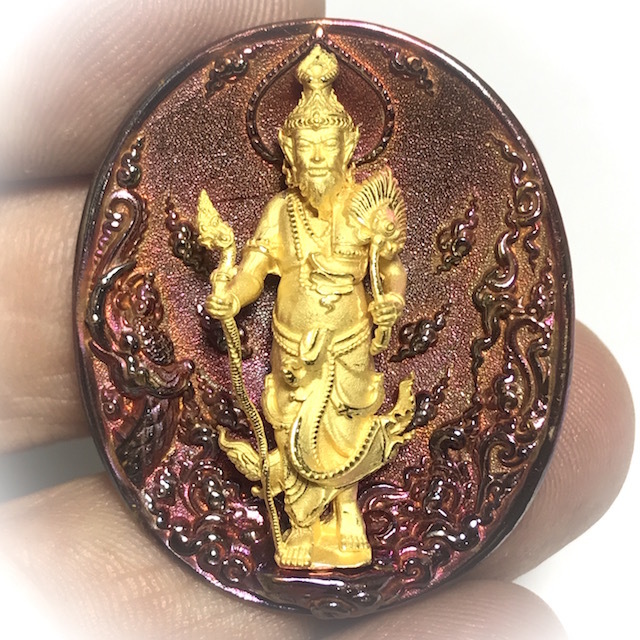 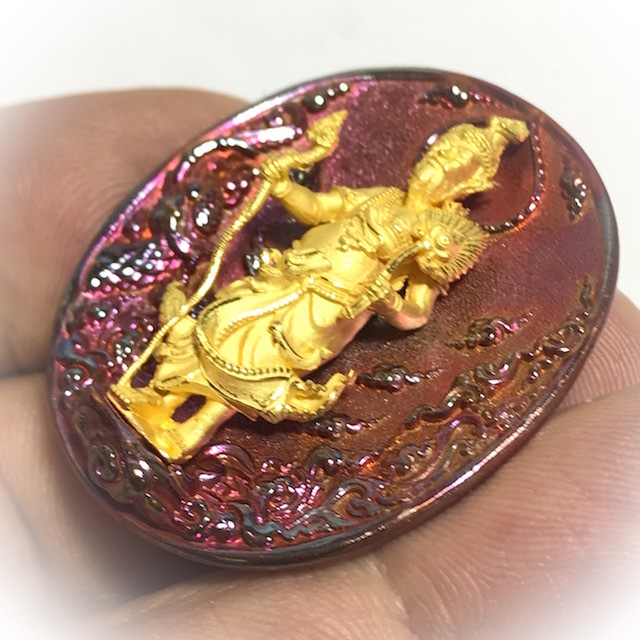 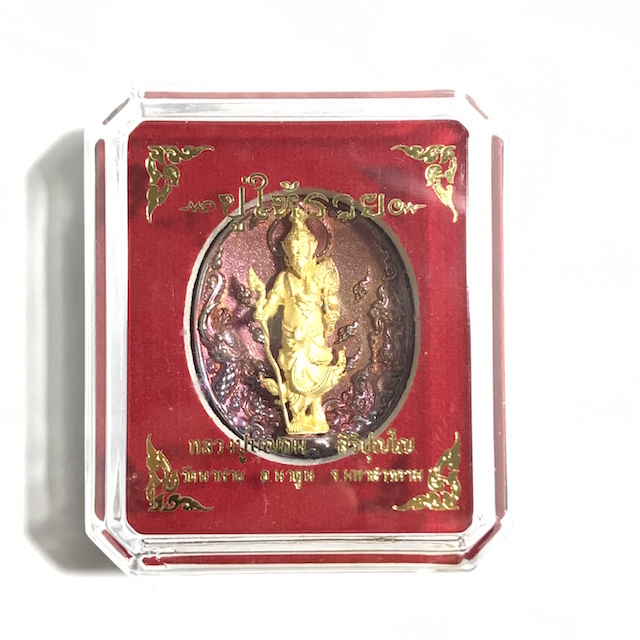 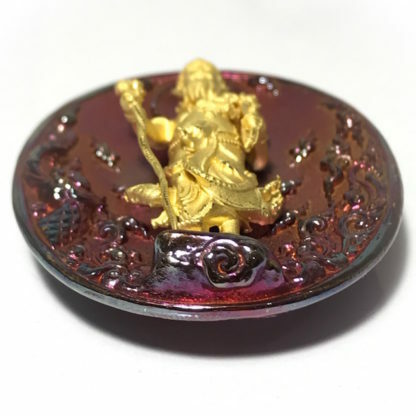 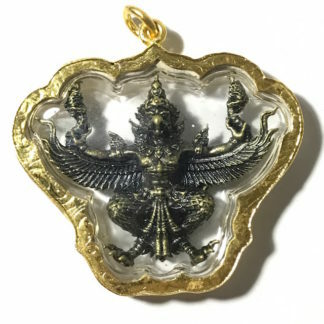 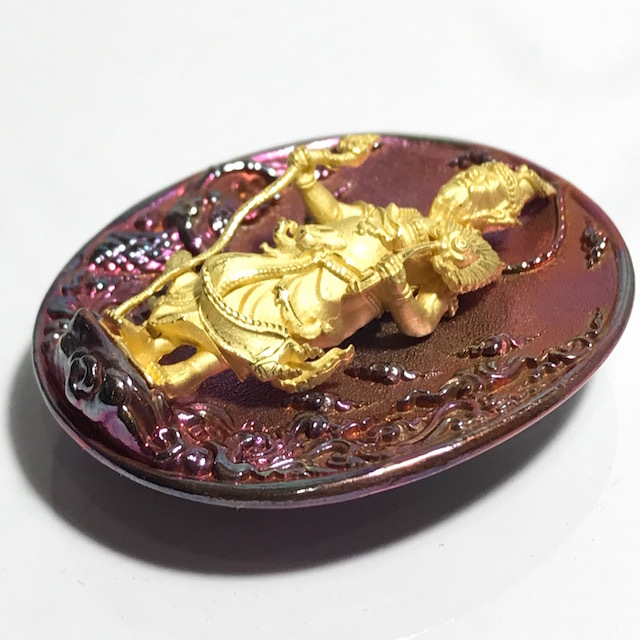 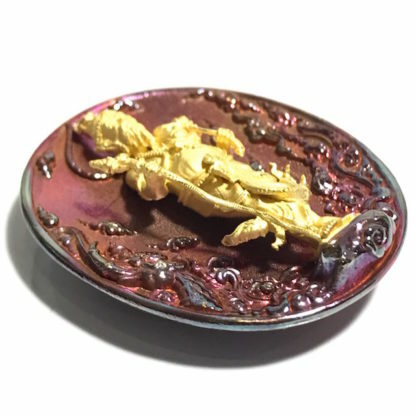 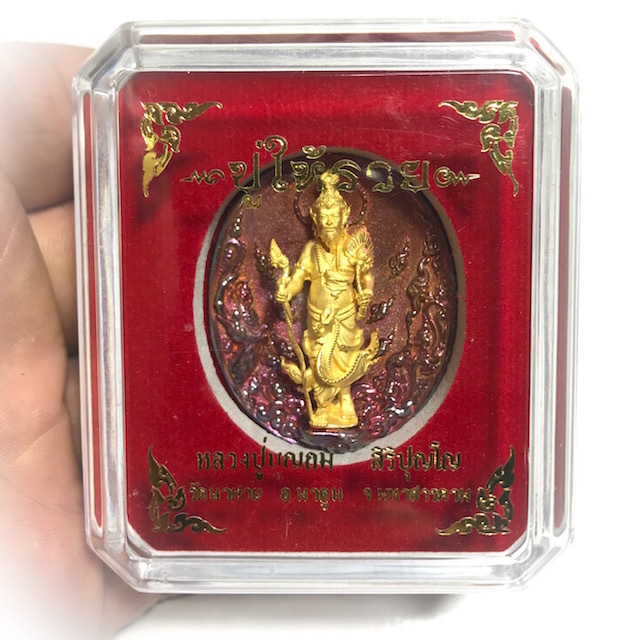 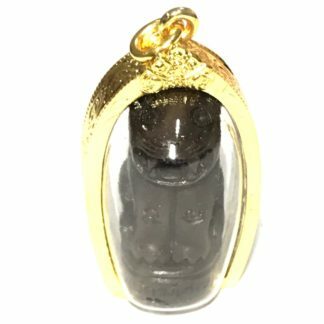 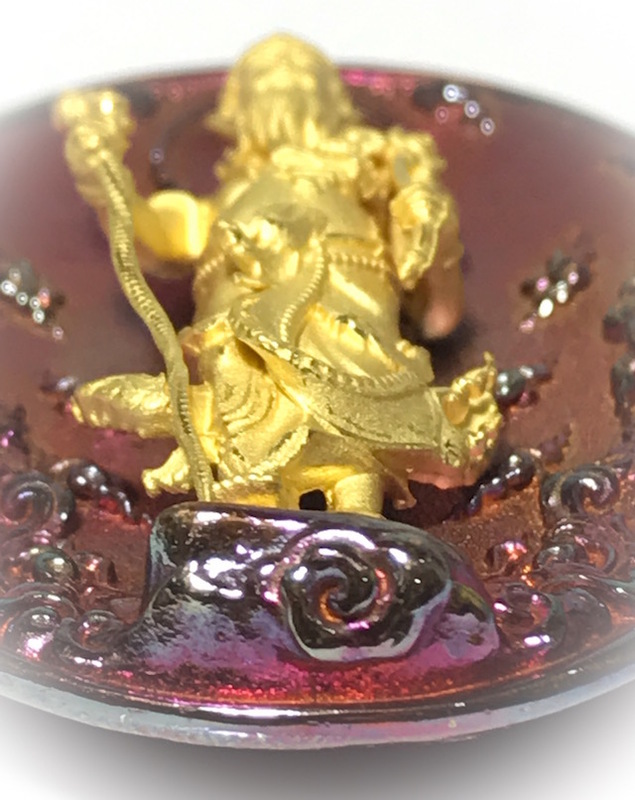 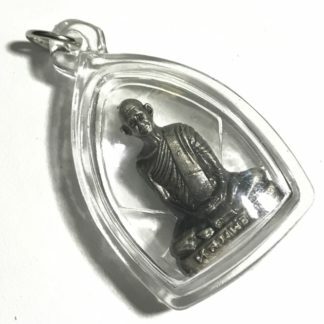 Please ask us with your order notes if you would like Solid Gold Custom Casing for this amulet – We will email you with a price quote, based on current Gold Prices at the time of ordering, and Invoice You after Agreement.